The final battle against the X-Men and X-Man has arrived and finally the series didn’t disappoint. The combined might of everyone Jean was able to psychically summon (though apparently not everyone got the call (Cyclops and Wolverine, we’re looking at you two specifically)) throw everything they have at Nate for a pretty impressive battle, with much thanks given to Pere Perez’s art on point. The characterization critiques we’ve had for the series are put to the side, since first off, during a big brawl characterization doesn’t matter too much, and secondly, we literally get to step inside Nate Grey’s mind for a bit with Jean. It helps explain his actions and repowering a bit more, but as a fan, it still doesn’t quite go the distance for him taking this turn. 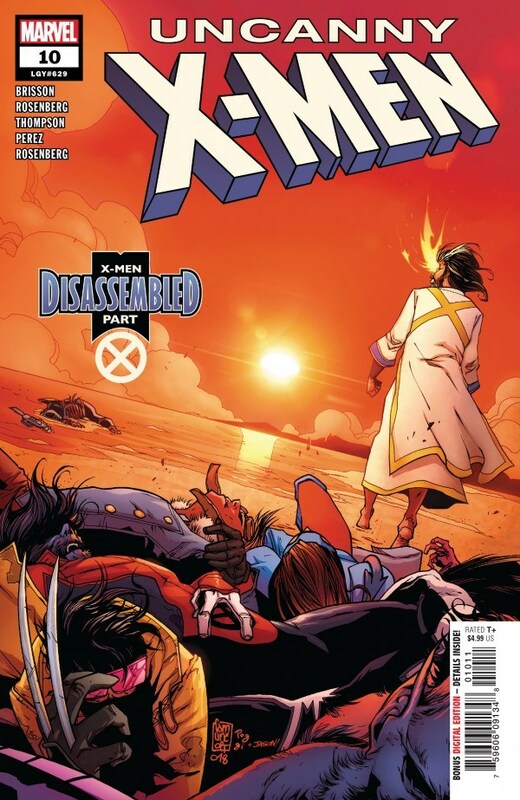 What the issue does get us to is the final disassembling of the X-Men, literally. Not just living up to the story’s title, it also makes us feel a little better about what came before, but most importantly really excited for what’s up next with Age of X-Man. Even if you missed out on the rest of the story, this is the issue to pick up and strap yourself in for what’s to come next.